As you read this I'm driving cross country to my new home in Santa Barbara, California! Because I'll be gone the whole week I'm not doing my usual meal prep, so if you need some ideas you can check out my previous meal preps here. But I did make a new muffin recipe and get a lot of great road trip snacks! Since the bf and I plan to pretty much eat our way through as many Diners, Drive-Ins and Dives locations as possible during the next week, having a healthy breakfast and snacks will be key to not completely OD-ing on delicious fried things. I made a lighter flax meal muffin recipe for breakfast with plenty of fruit, healthy fats and protein to start the day right during our drive. Mix the sweet potato through honey together until there are very few lumps. Pour batter into muffin tins lined with paper muffin cups and bake for 30-35 minutes or until the muffins feel firm and are starting to brown around the edges. These muffins are dense, nutty, and full of great flavors and textures. And at 98 calories a piece, they're light enough to snack on but two muffins with some nut butter is enough to make a filling grab and go breakfast. To help get in our fruits and veggies, I picked up a bunch of produce including oranges, snap peas, carrots and oranges. I also got a mix of sweet and salty snacks, granola bars for when hunger strikes between stops, and some low-sugar juice boxes to stay hydrated. Q: Have you ever been on a long road trip? Any tips? Those muffins look AMAZING!! Buh... I'm getting hungry just looking at them haha. I added you to my Bloglovin feed. Looking forward to following you in the future. Thanks Bridget! Stopped by and love your blog. Excited for some yoga tips! Those look great! Have a great move! Can't wait to hear from you when you get all settled in! Thanks! I'll definitely keep you updated! 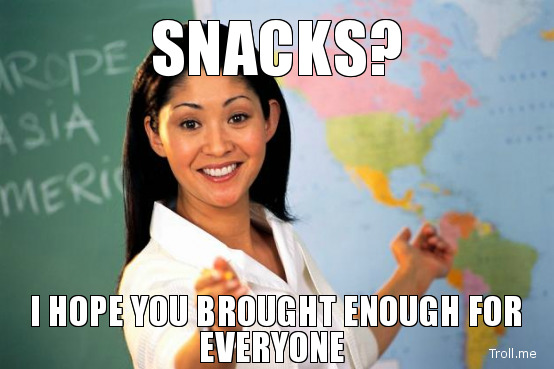 Your snacks look great! Have a safe trip! Awesome snacks, those blueberry muffins look so yummy! You had a great workout week--I am obsessed with the fitness blender channel on youtube!! So happy you are in my tribe. Travel safely!! Thanks Nellie! I was excited to see you were in my tribe too! Love Fitness Blender, the low impact workouts are so great for travel too. Hey girlie! Visiting from your SITS group! Those muffins look great! Mmmmm. Looking forward to getting to know you this week. Safe travels! Stopping by from your SITS Tribe - and WOW! A cross-country trip sounds like such a challenge when you're trying to maintain healthy habits, but it sounds like you're taking all the right precautions! I just made blueberry muffins last week, and your recipe looks delicious as well! Enjoy the trip, and be safe! Hi Amanda, visitiing from your SITS Tribe. Hope you have a wonderful week on the road. Lucky you! Getting out of this cold weather! I'm jealous :) Thanks for the awesome recipe. On long road trips I try to stay hydrated. I know that is tough because you don't want to stop a lot. If I know when we are stopping I start drinking water about 30 mins before and it really helps. Have a safe trip! Thanks for the tip Patty! Sounds fun!! I love that you packed healthy for the road trip...I would have used that opportunity as an excuse to fully pig out!